Several months ago, someone at Capcom goofed up and accidentally revealed all 12 new characters to Ultimate Marvel Vs. Capcom 3. 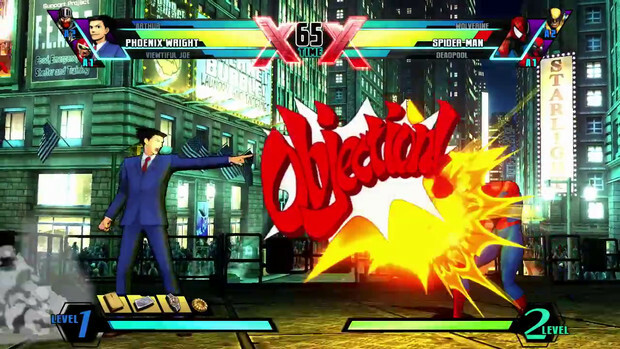 The biggest shock was not that someone was actually careless enough to let this happen but that one particular character was unveiled with irrefutable proof that he had finally arrived: Phoenix Wright. I don't care if it makes no sense. It's still awesome. 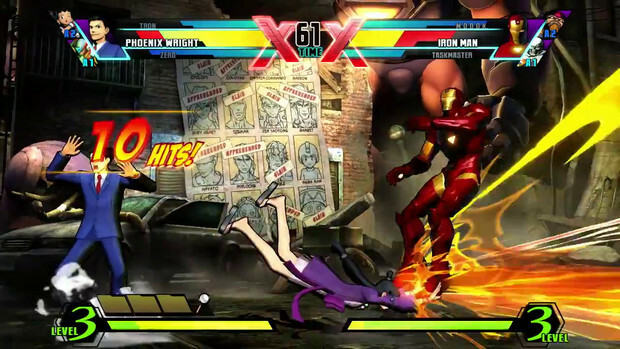 A few weeks ago, Seth Killian teased an image that was the combo and damage counter from UmvC3's training mode. 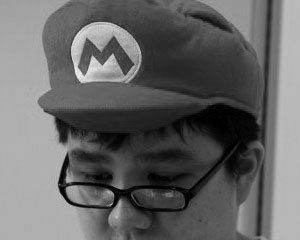 The picture displayed over a million points of damage, which is significant because most combos in MvC3 regularly top out at around 700,000 when you figure factors like assists, DHC's, and without using X-Factor. 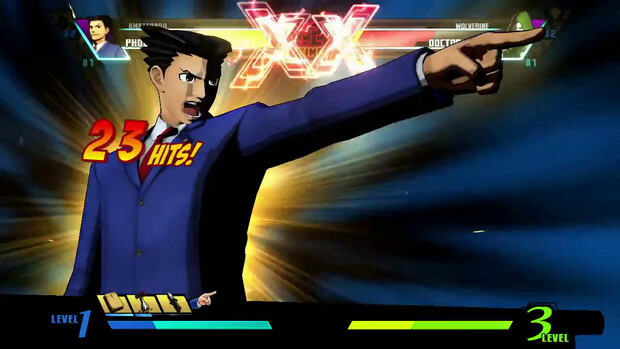 Seth merely teased that he had just done this millionaire's club combo with Phoenix Wright without assists and without X-Factor. And now that he's finally been unveiled, I'm a little less skeptical about his claim. When I noticed the extra bar over his hyper meter, I immediately considered Phoenix to be a resource management type character. This style is very common in new-school fighting games like Blazblue where certain characters have unique properties and resources to manage in a fight to be more effective. In this case, Phoenix has to gather evidence, which is a any button + special command. Like Platinum the Trinity from Blazblue: Continuum Shift, Phoenix will have a multitude of options depending on what evidence he gathers. Maximilian points out that the strange, blue, splitting projectiles he fires in the trailer are actually coming from Phoenix presenting the knife he gathered earlier. He was also obviously seen throwing more mundane evidence like flower vases as well as finding food which can restore red life. He can even call Maya out to project a psychic force field to protect him while doing this. Most of all, Phoenix has an array of unique normals which don't involve Phoenix directly fighting his opponent. Several of his attacks appear to be multi-hitting normals, allowing him to hit confirm tons of things if they're safe on block. Phoenix has plenty of tools which allow him to be an effective damage dealer. He has a hyper which can OTG (Objection Overruled!) but it not only puts your opponent in hard knock down, but it knocks down Phoenix as well! It'll be interesting to find out if you can even DHC this hyper since Phoenix goes down as well. 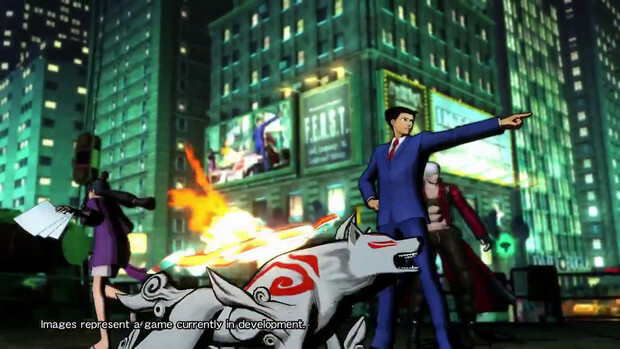 Phoenix also has his own OTG attack where he calls Maya out to trip in front of him. Assuming it's like most special attacks, I can see canceling this attack into his safer hyper, which has Maya charging forward, flailing her hands around. The last important thing about Phoenix are his special states. 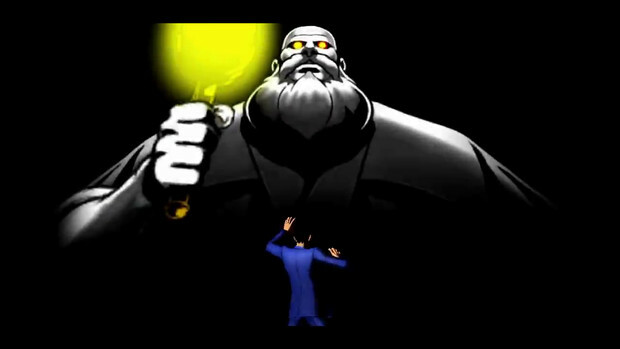 Like the game, he has an investigation phase, a presentation phase, and a turnabout phase. I don't know what his presentation phase allows him (signified by the attorney�s badge in his evidence bar), but his turnabout phase is activated if he can hit his opponent with his �Objection!� bubble. After that, Phoenix enters a powered up state, which gives him access to new attacks that allow ground and wall bounces! It's unknown if he needs this state to execute his level 3, but my guess is that the more evidence he has, the longer he can used this powered up state, as well as making his level 3 more powerful (you need evidence to convict afterall!). There are still a lot of unknowns about Phoenix. He has a lot of tools that give him the appearance of being a zoner. He also has several attacks which make getting in easy for him to apply a lot of damage. His special which allows Maya to protect him is useful, but he'll probably enjoy the support of assists to make his evidence gathering safer, but I do think that this evidence management will be central to how Phoenix plays. Nova is a very surprising character to juxtapose next to Phoenix. I thought whoever would be revealed next to him would be overshadowed quickly, but Nova is very promising and he can stand on his own by comparison. Nova immediately reminds me of a Super Skrull if he were wearing the Iron Man armor. He has a combination of powerful tools that normally require an entire team to use together in tandem. He can quickly combo off of his OTG attacks, combo off his throws, has three useful looking level 1 hypers, and has a useful overhead which even causes ground bounce. A lot of things about Nova seem pretty self-explanatory and easy to describe. He's very mobile, can do very powerful, extended combos by himself, and can earn a lot of meter as a consequence. But it's because of these strengths that I dare to predict Nova's most powerful position to use all these parts together: an anchor. If you don't know, anchor is the last position on your team that you normally leave for last and don't tag out to. Good anchors are very self-sufficient in terms of combat power and don't need assists to be effective. 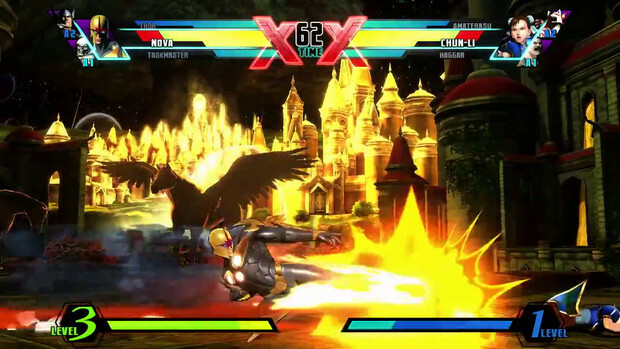 Many anchors also have high damage output, which is key to letting the anchor overcome two or even three character teams by himself, especially with X-Factor. 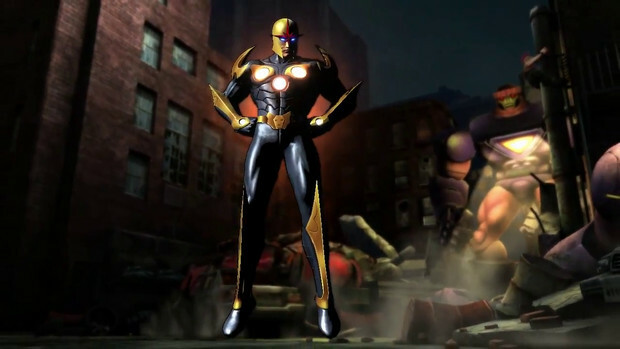 I think with all of Nova's options and strength, he'll easily be one of the best anchors in the game, rivaling the likes of Wesker, Spencer, and Skrull with high damage and high autonomy. I can't wait until UMvC3 comes out. 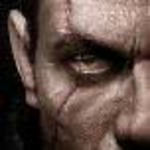 It may turn out just like Super Street Fighter IV, something that is much better and more polished, easily surpassing the original, only the turn around time is of course super fast. 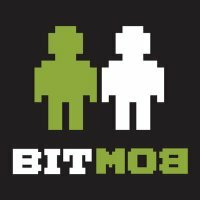 The impact of rendering the original obsolete so fast is an issue, but for the fighting game scene, it's always about moving forward. And now It's only a month away now!